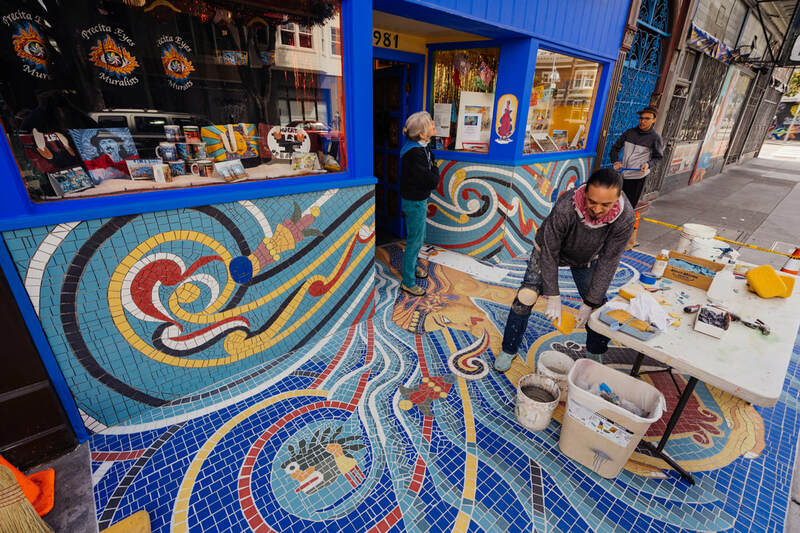 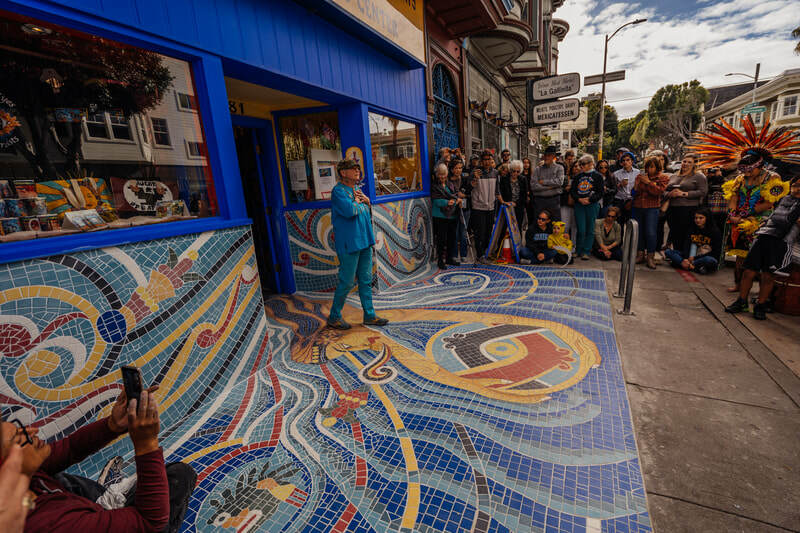 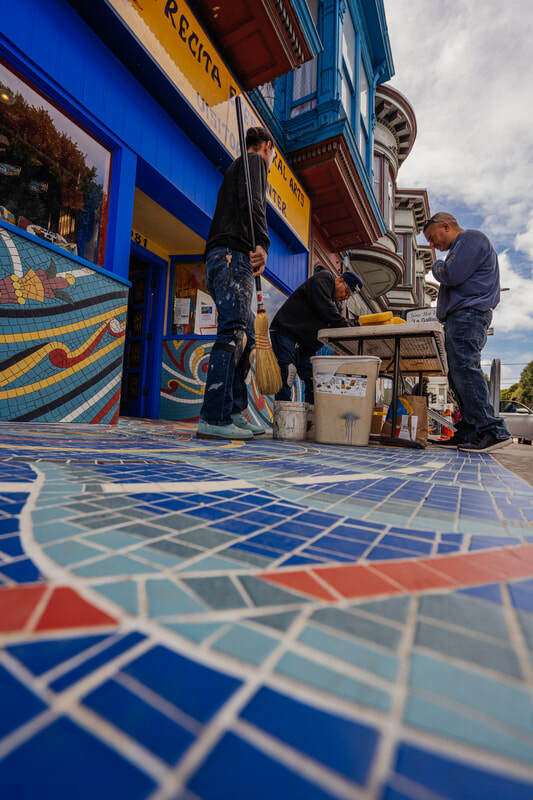 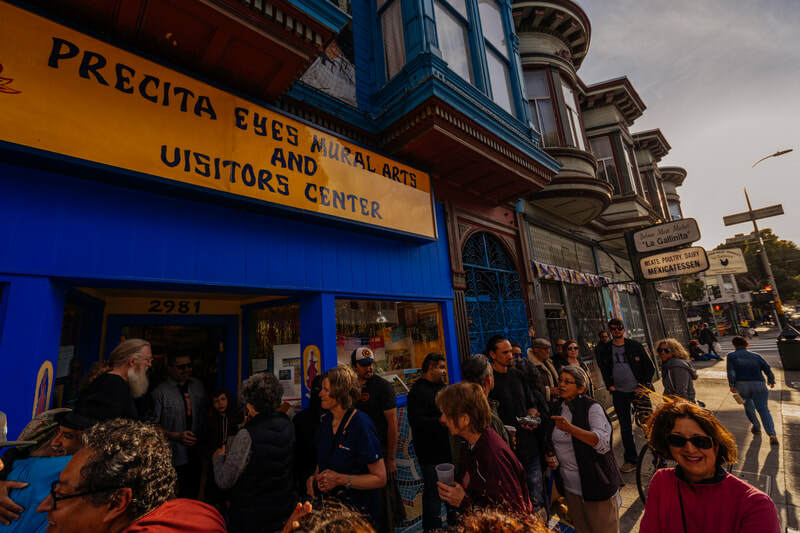 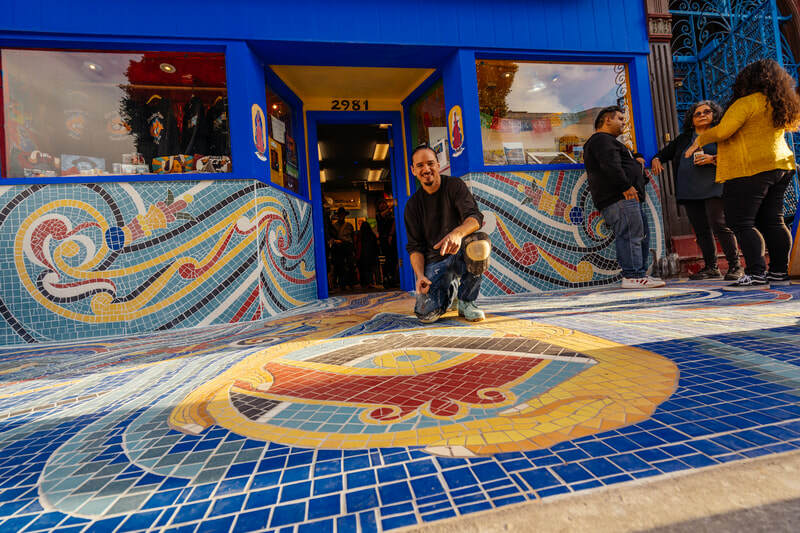 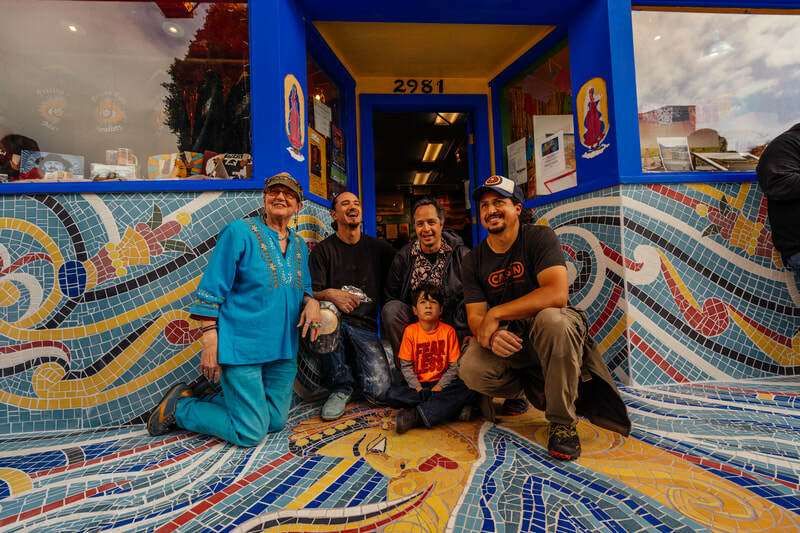 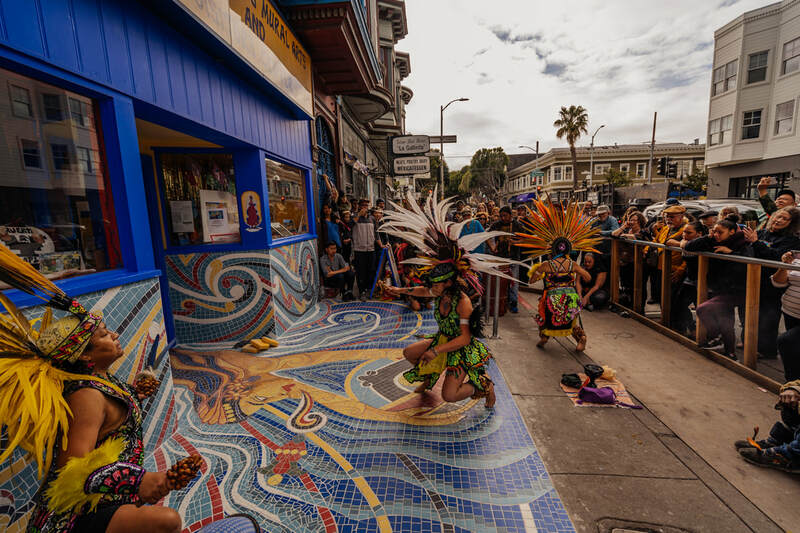 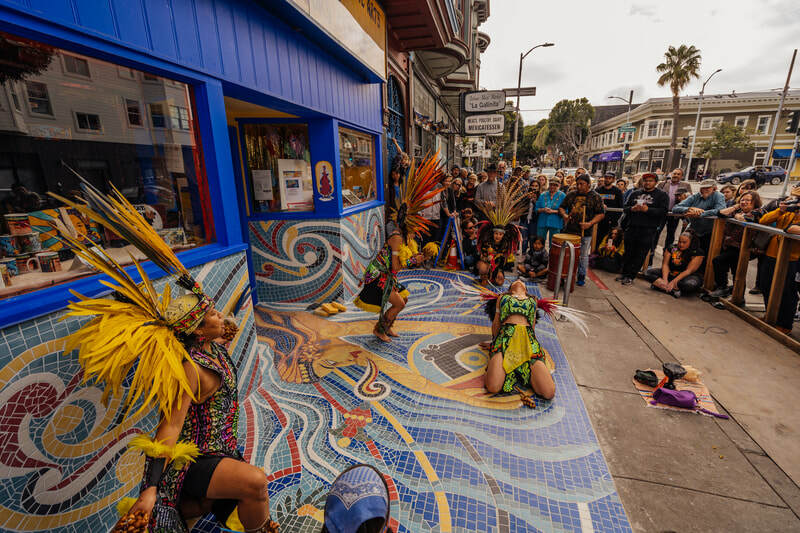 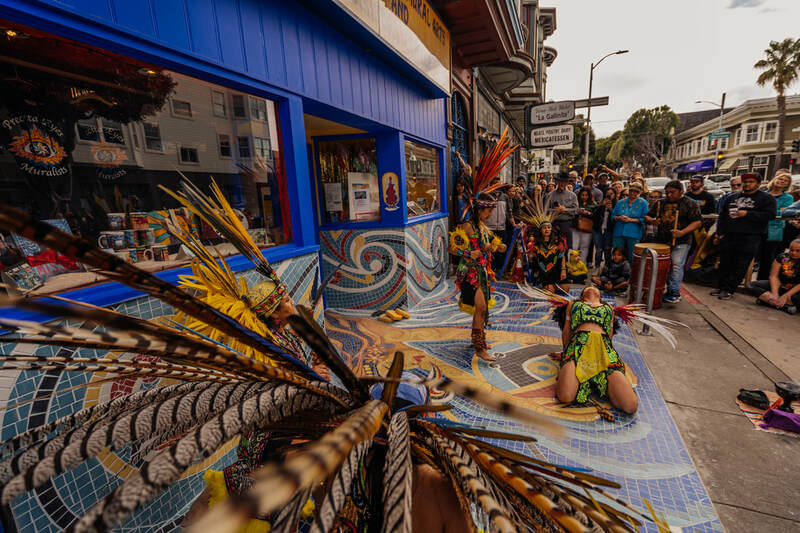 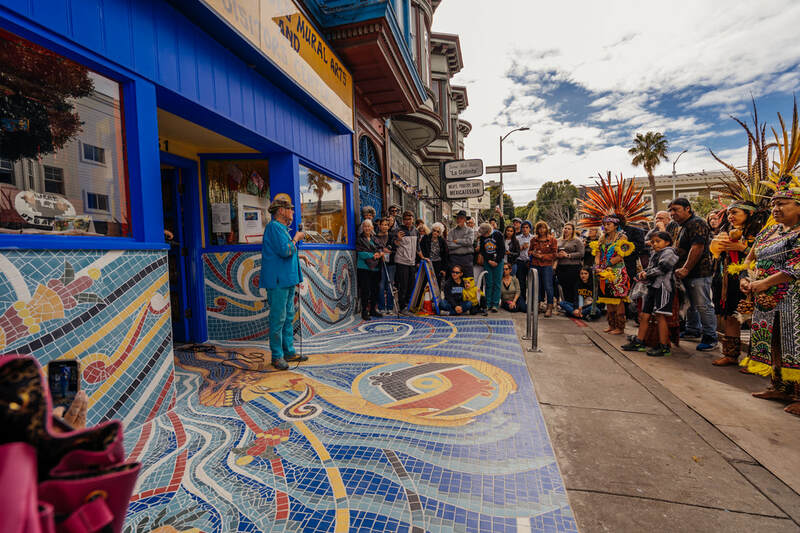 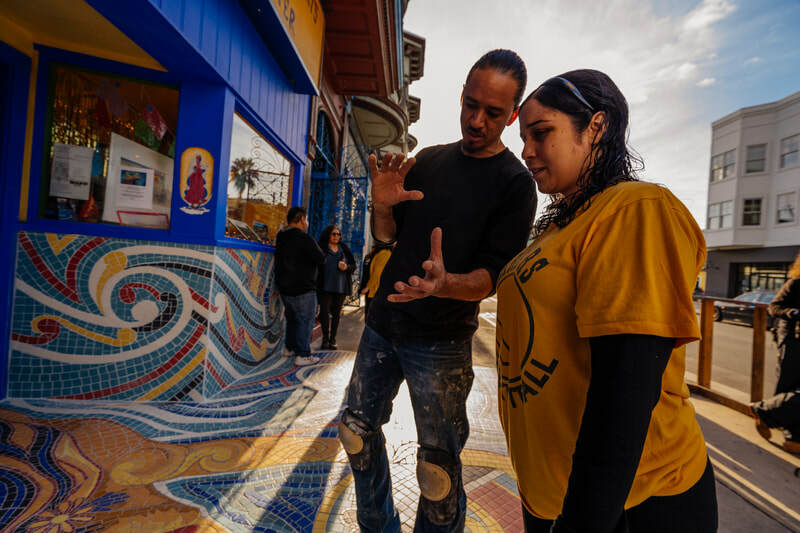 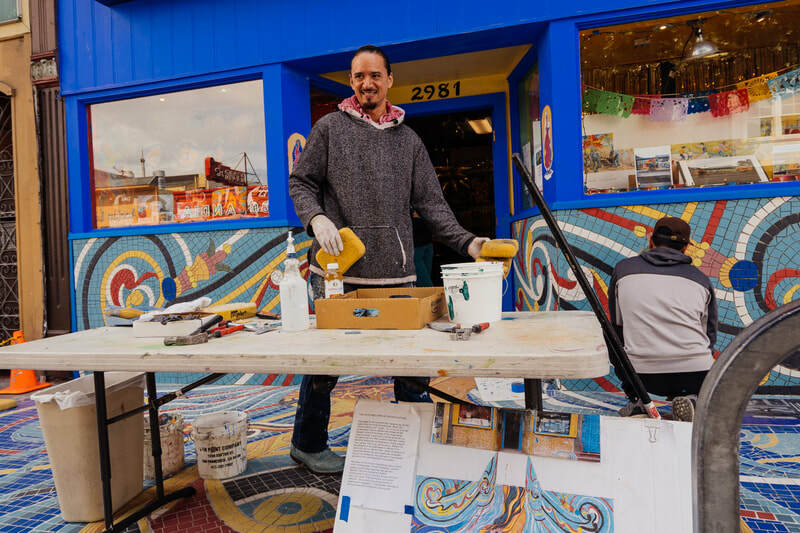 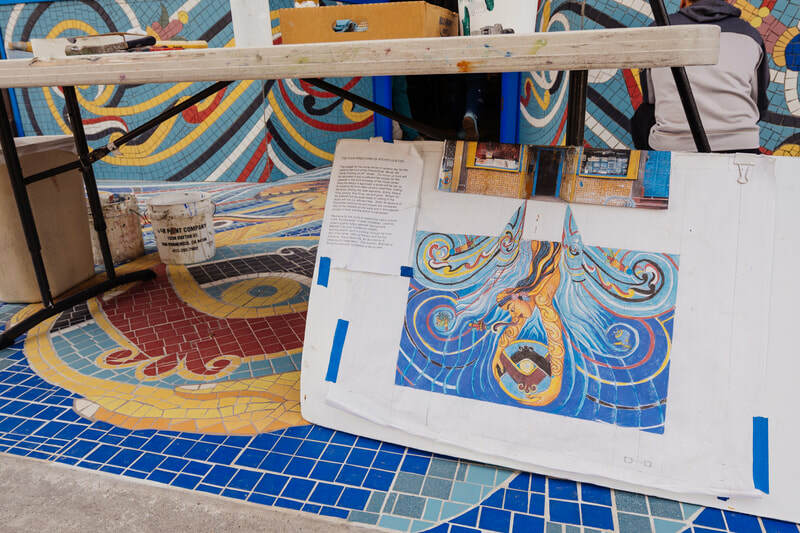 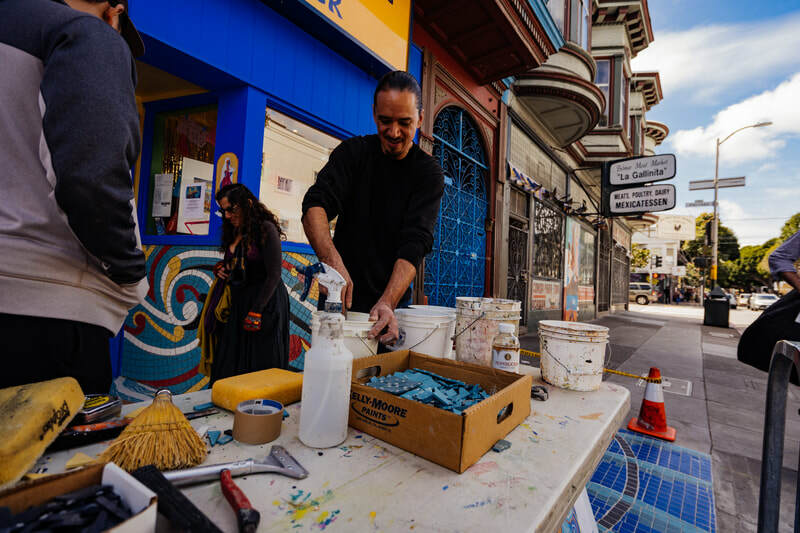 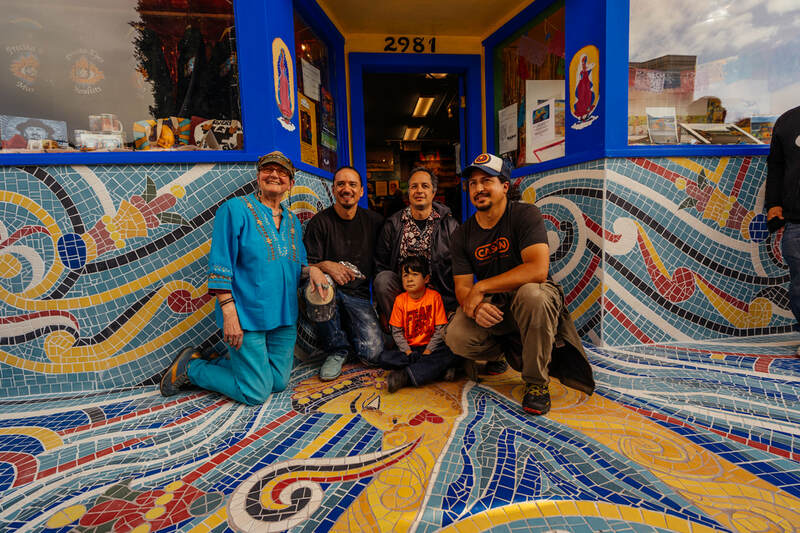 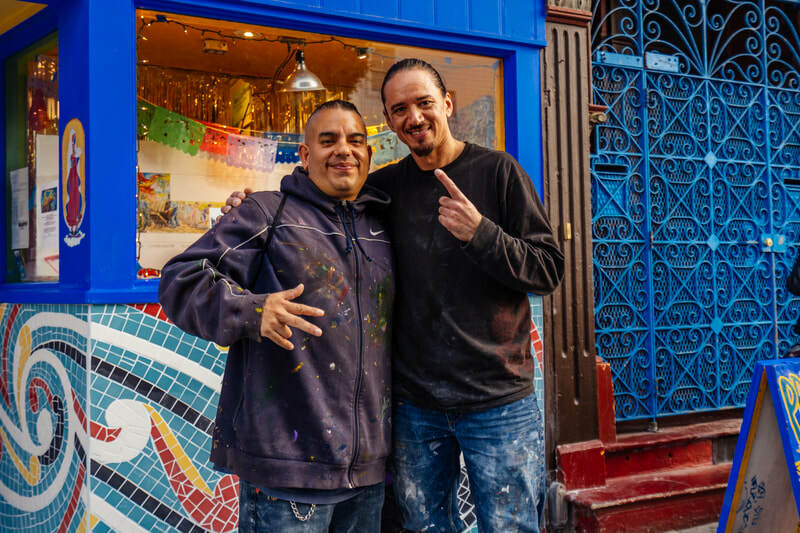 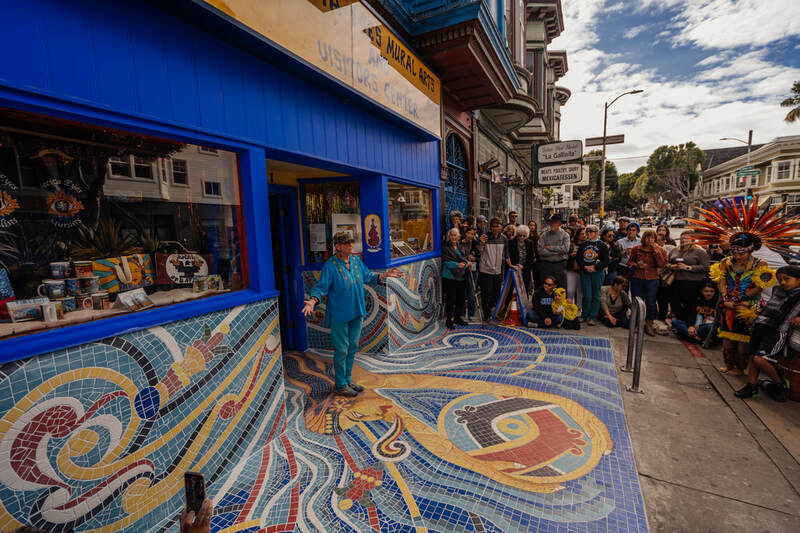 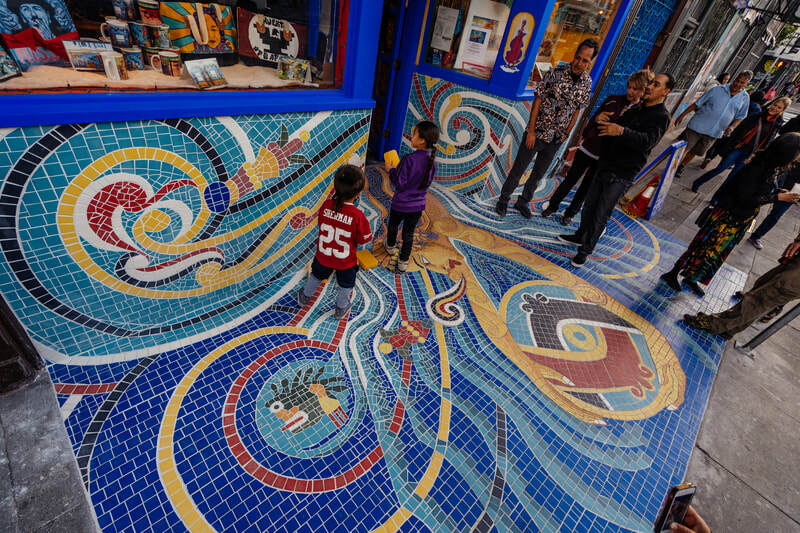 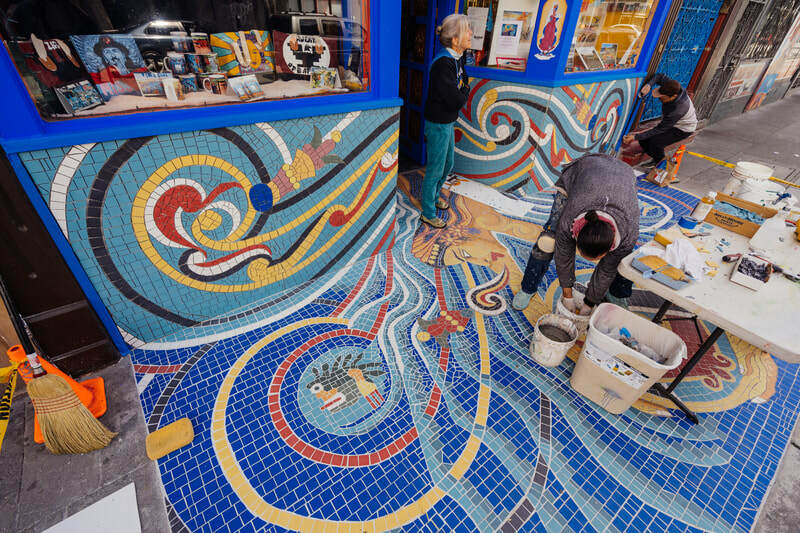 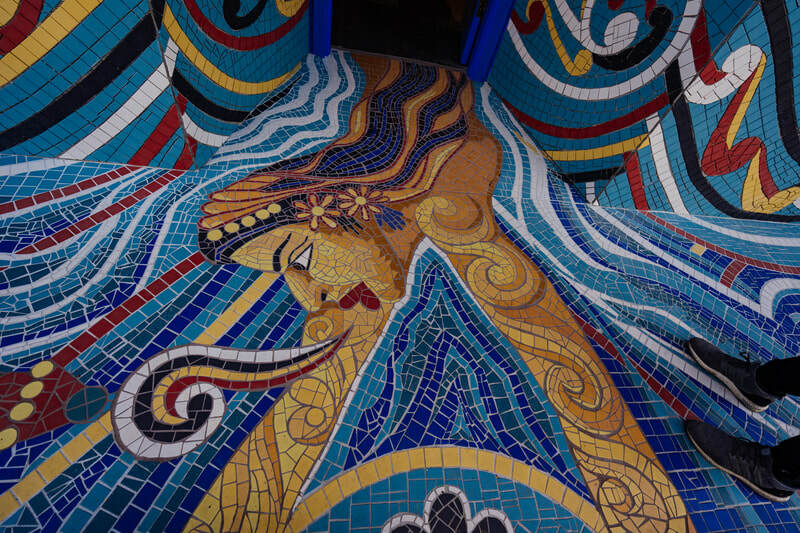 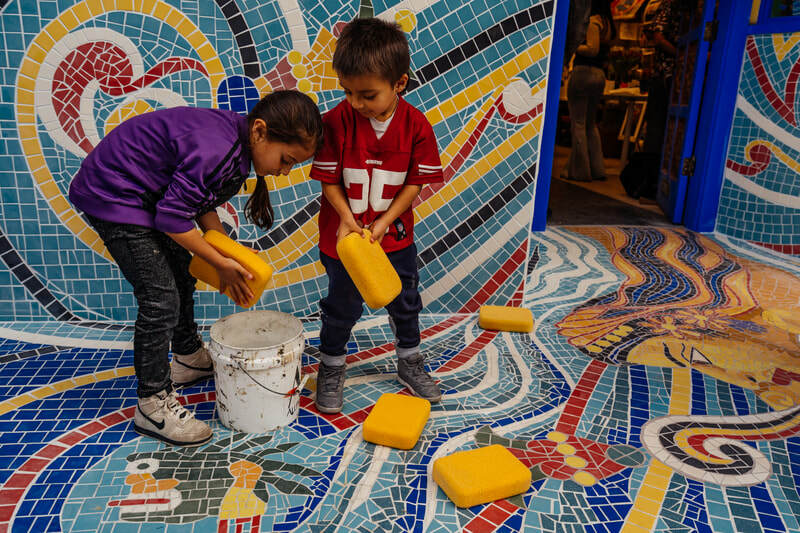 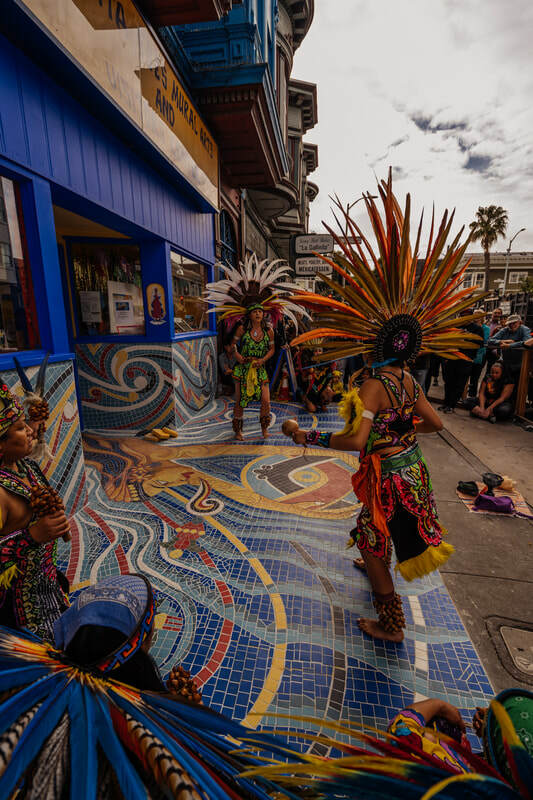 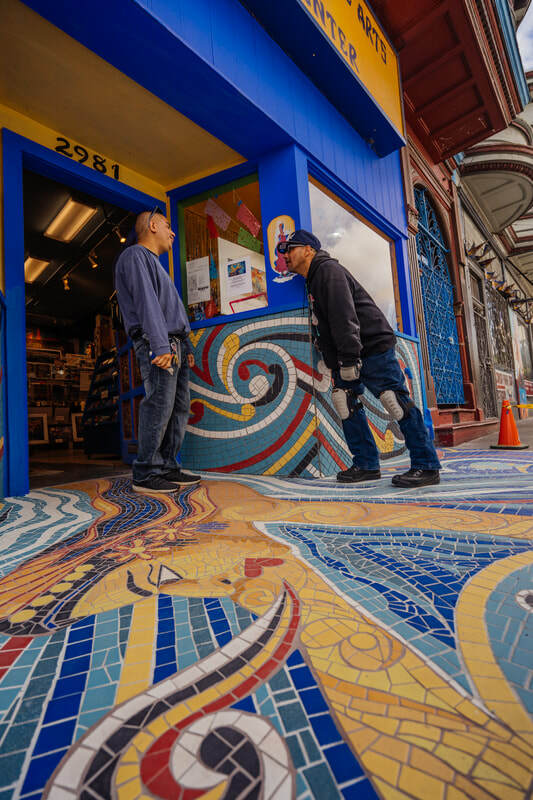 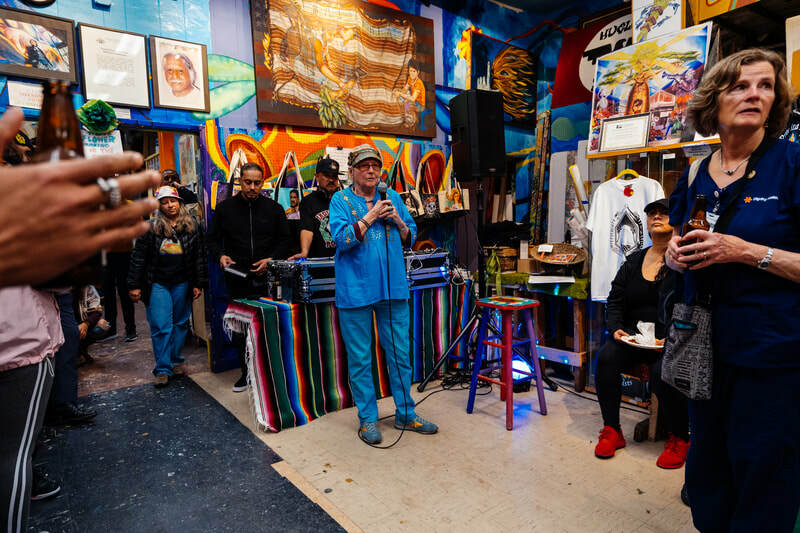 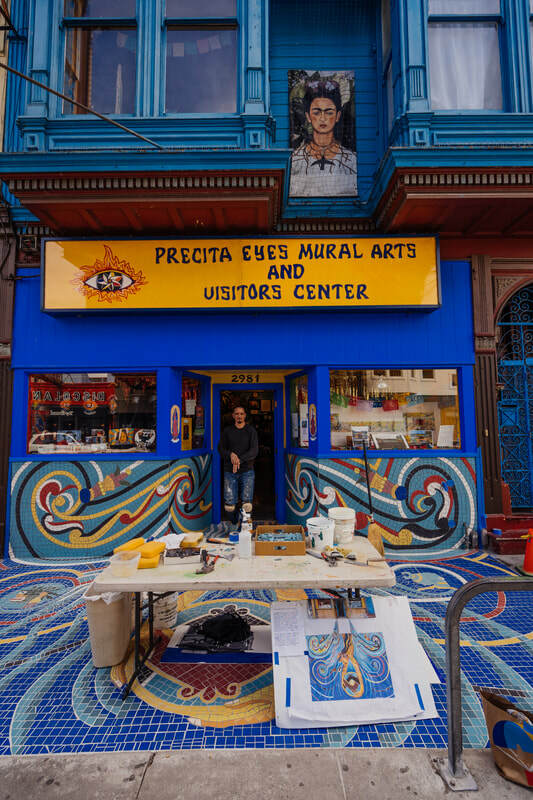 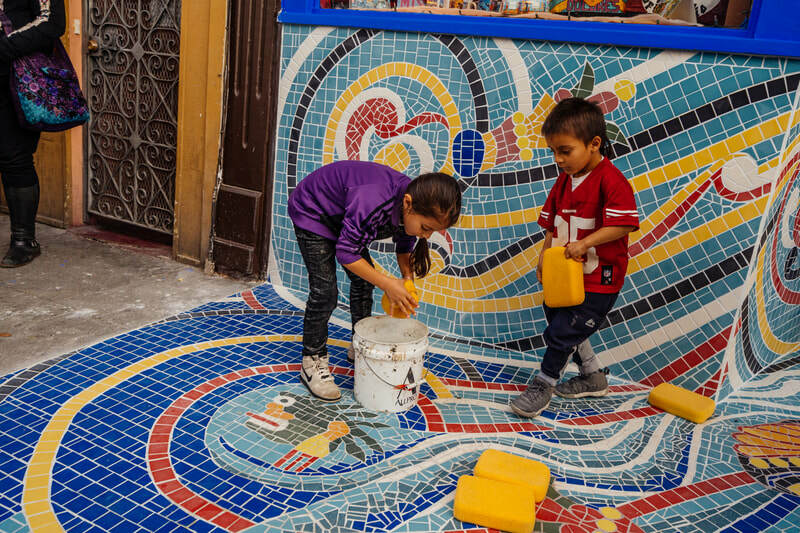 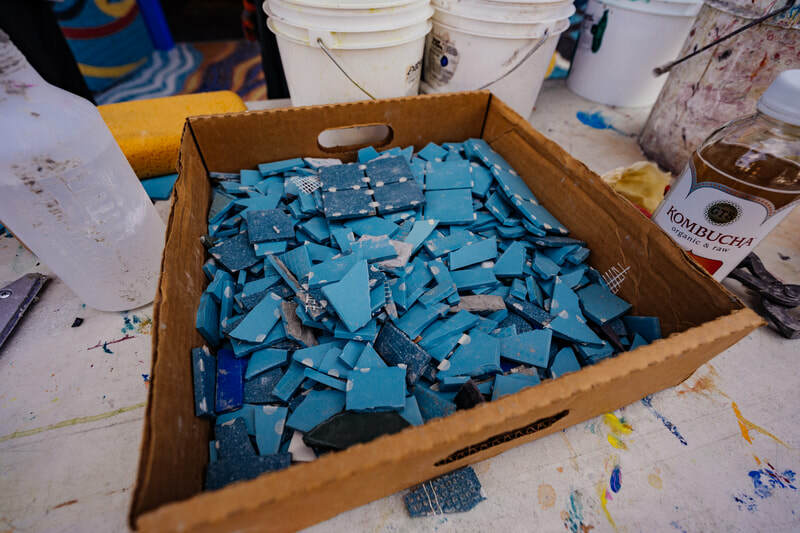 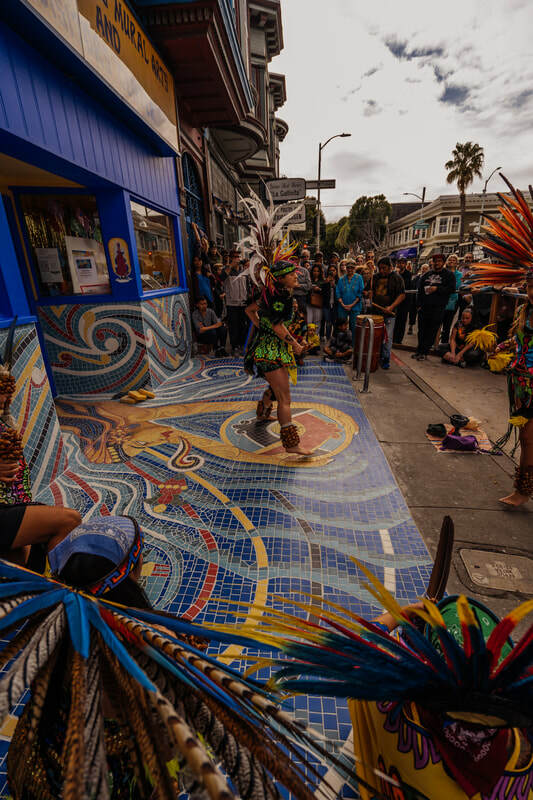 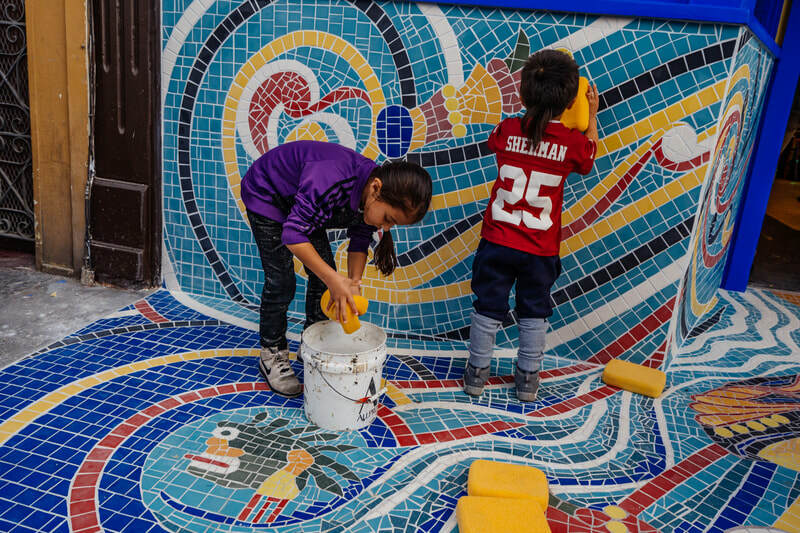 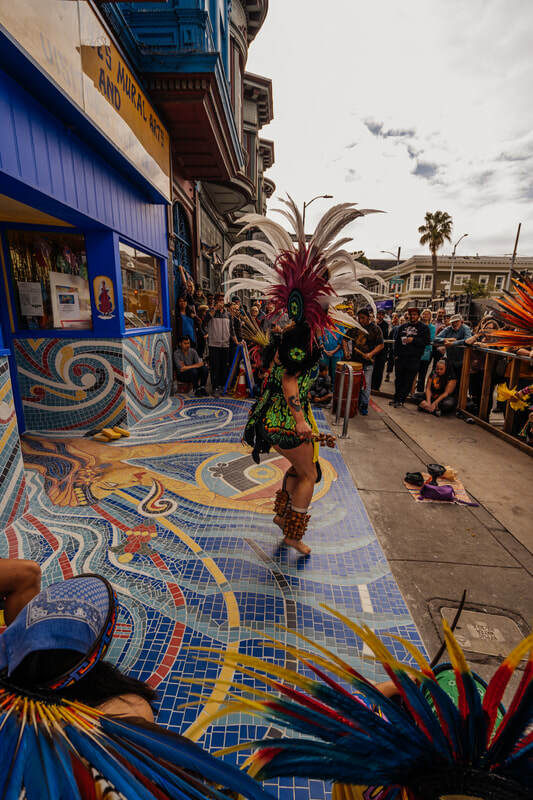 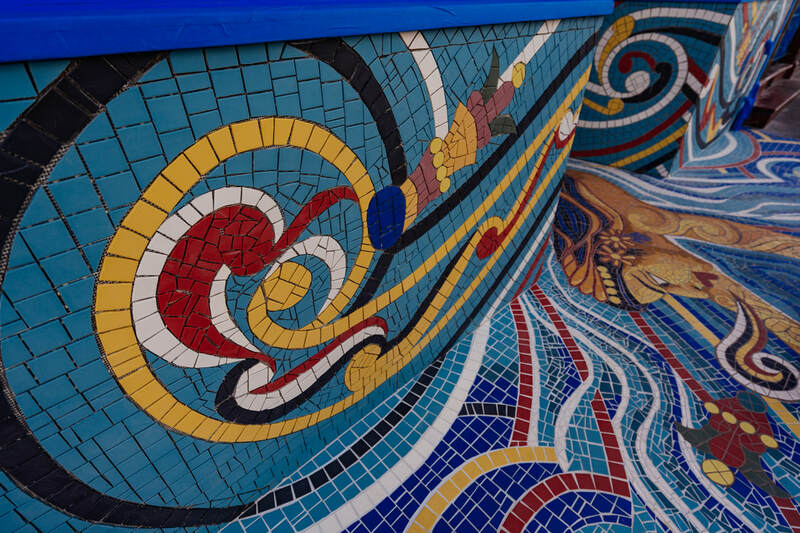 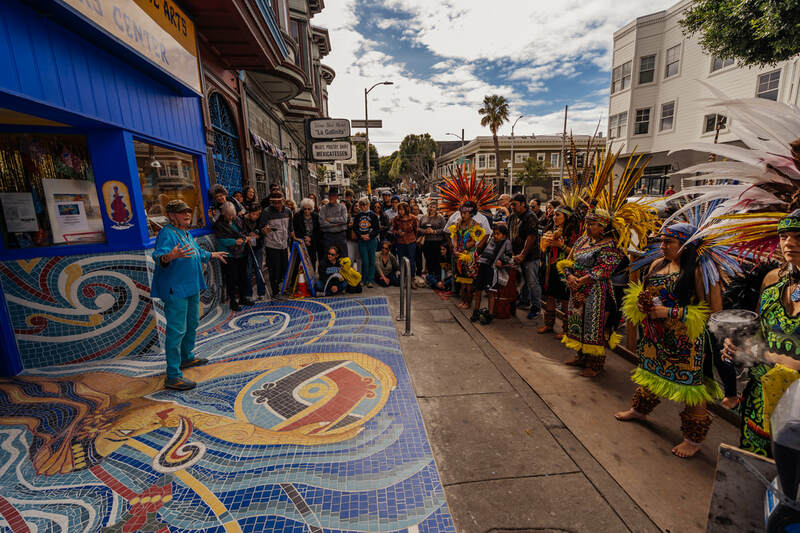 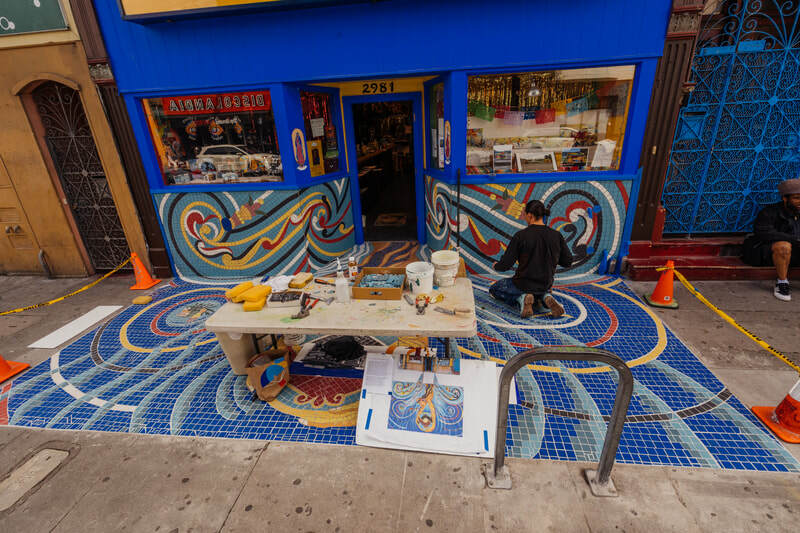 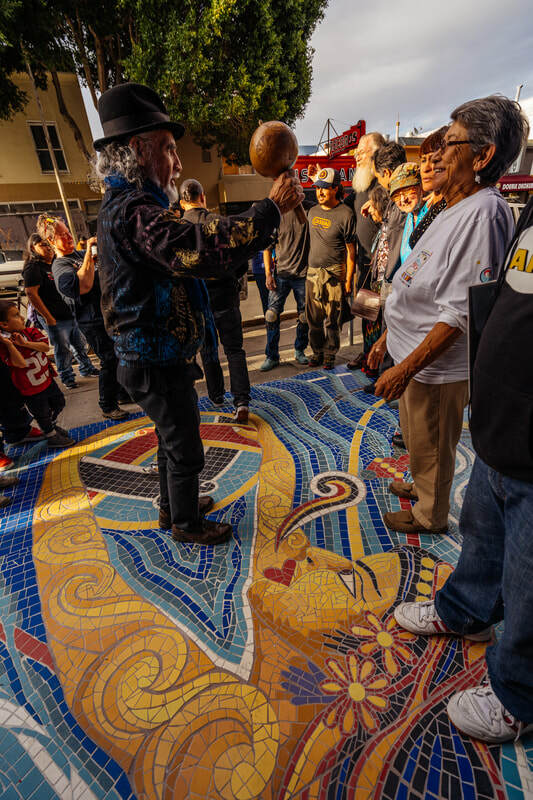 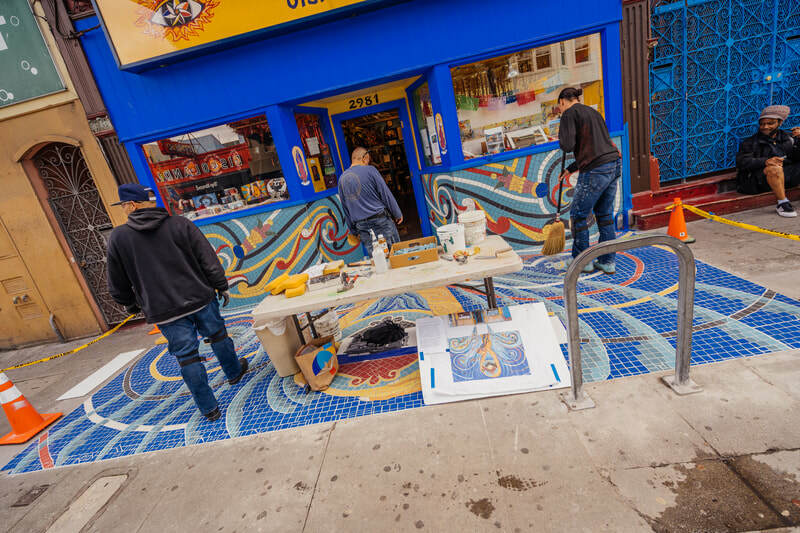 On April 6, 2019, Precita Eyes Muralists celebrated “The Gift Of Xochiquetzal”, the new sidewalk mosaic located in the entry of the Precita Eyes. 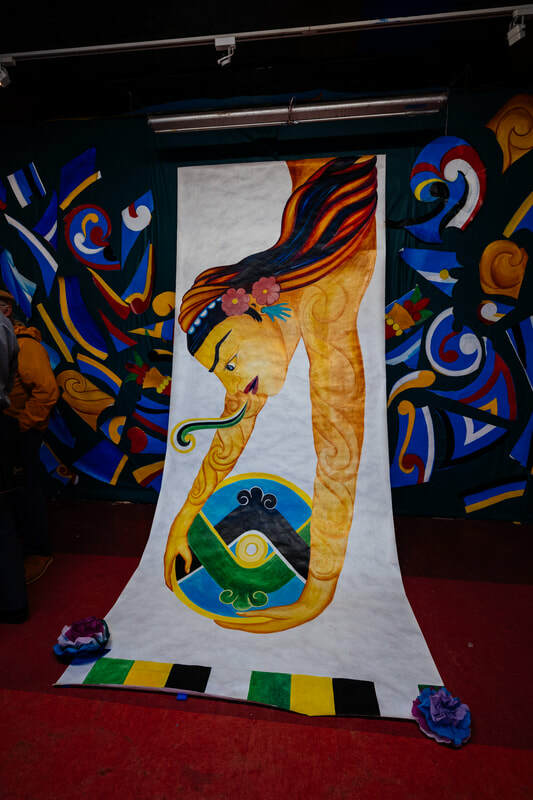 The work is inspired by Xochiquetzal, the flower goddess, glyphs and the Aztec symbols Mallinalli (Life) and Tzontemoc (Death). Designed by Precita Eyes founder Susan Cervantes, and assembled and installed by her son Suaro Cervantes, "Xochiquetzal's spirit enters our front door, offering the sun and the four directions, the gift of nurturing and blossoming to all Creation." 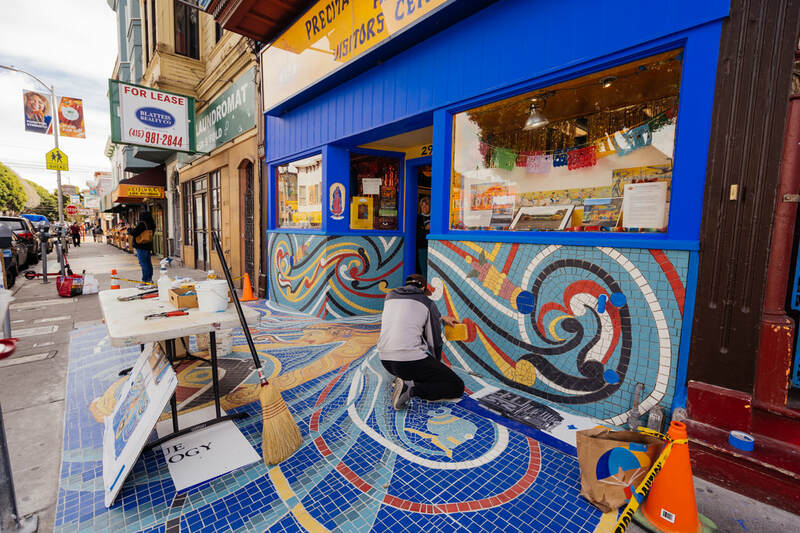 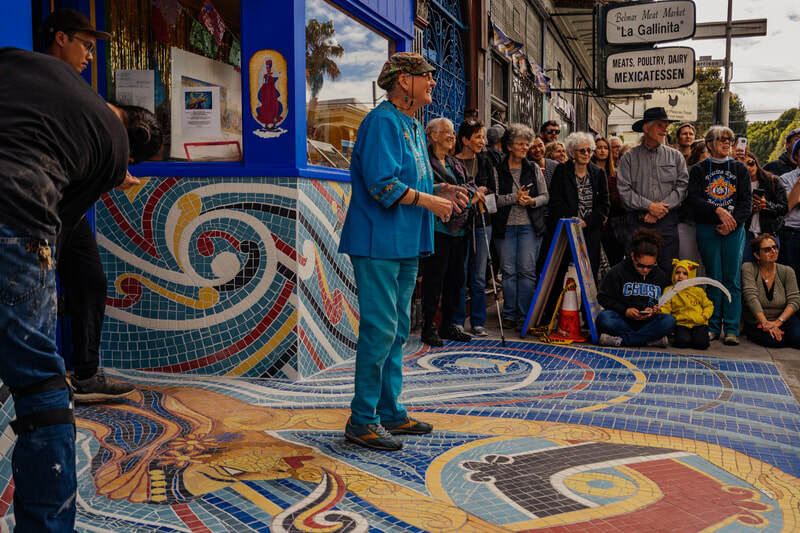 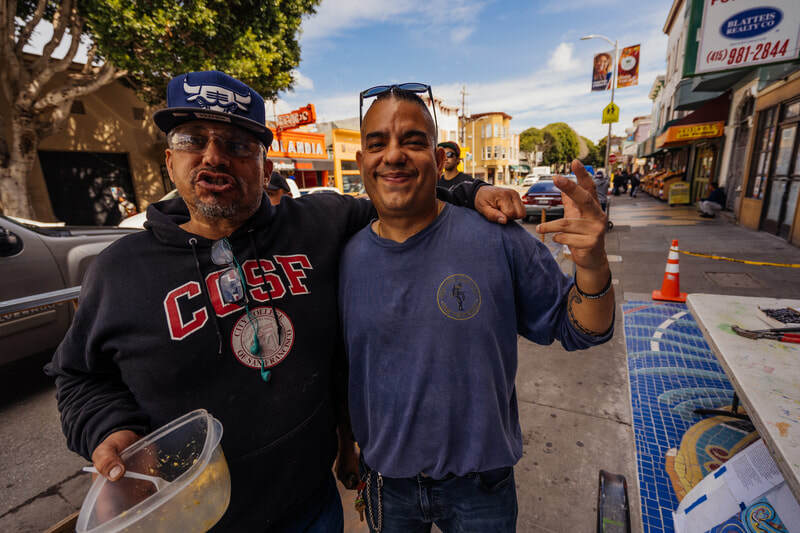 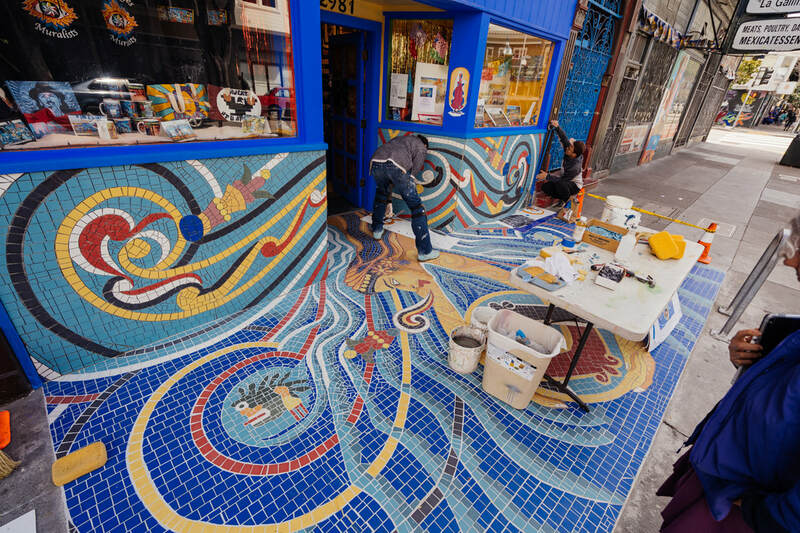 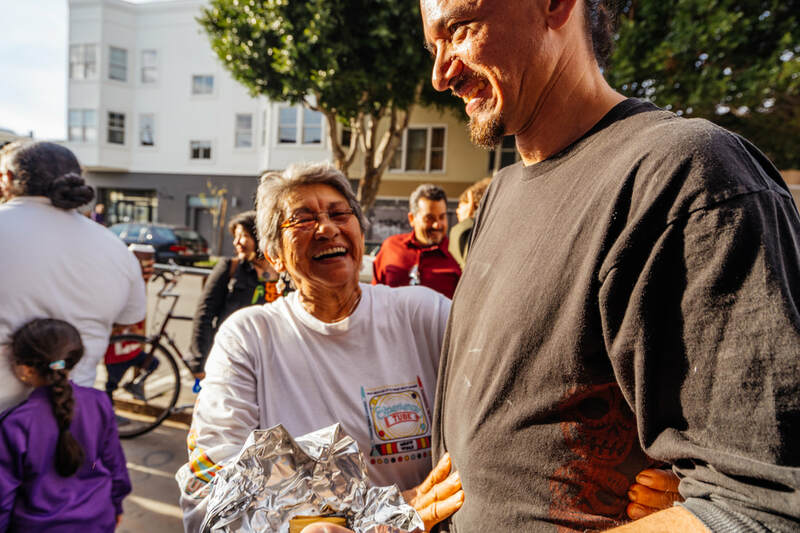 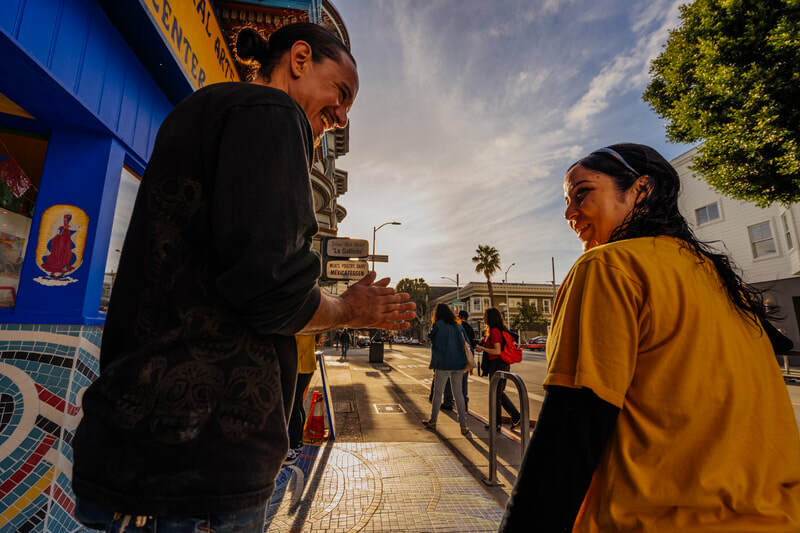 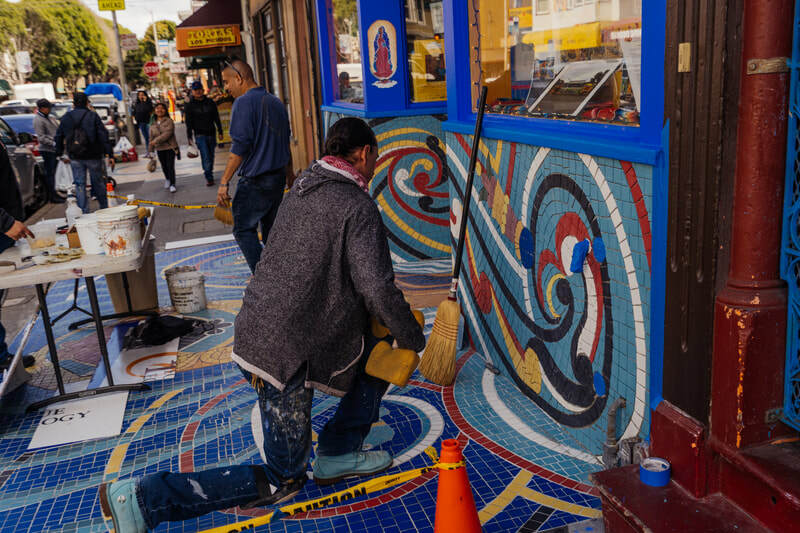 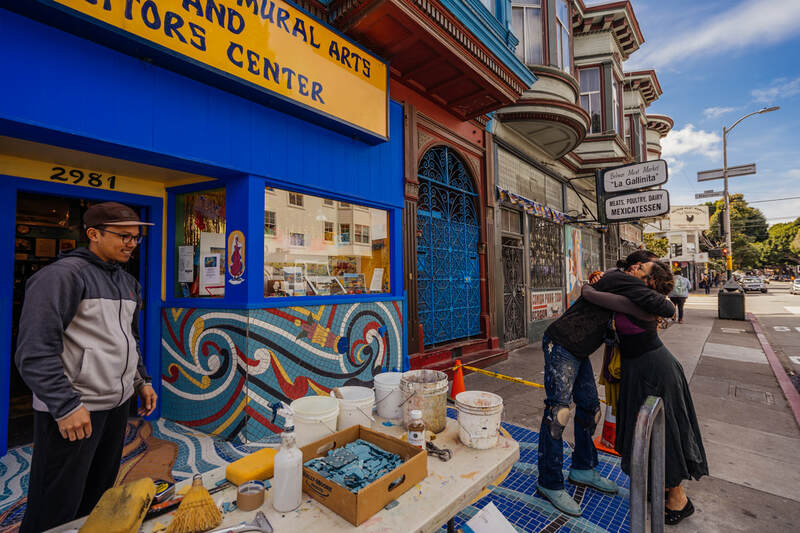 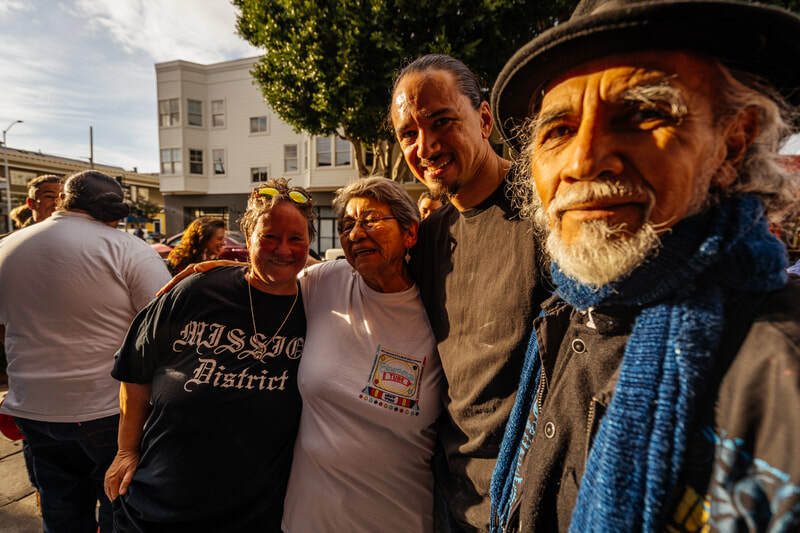 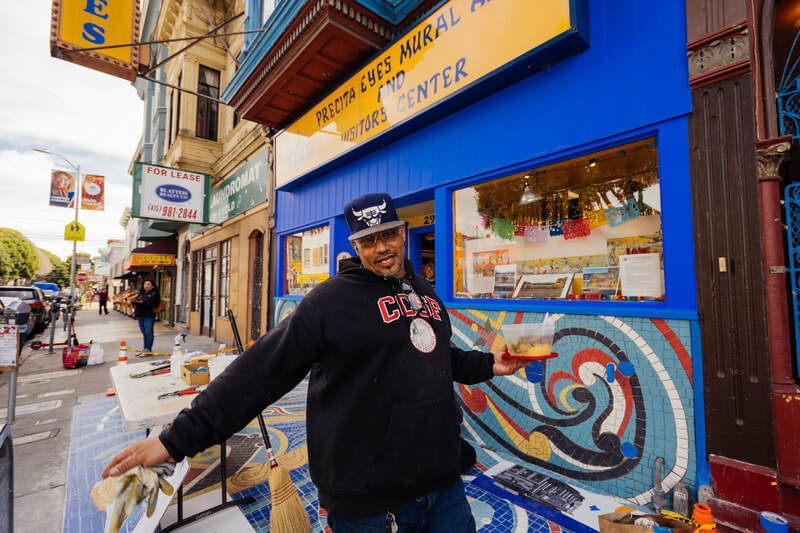 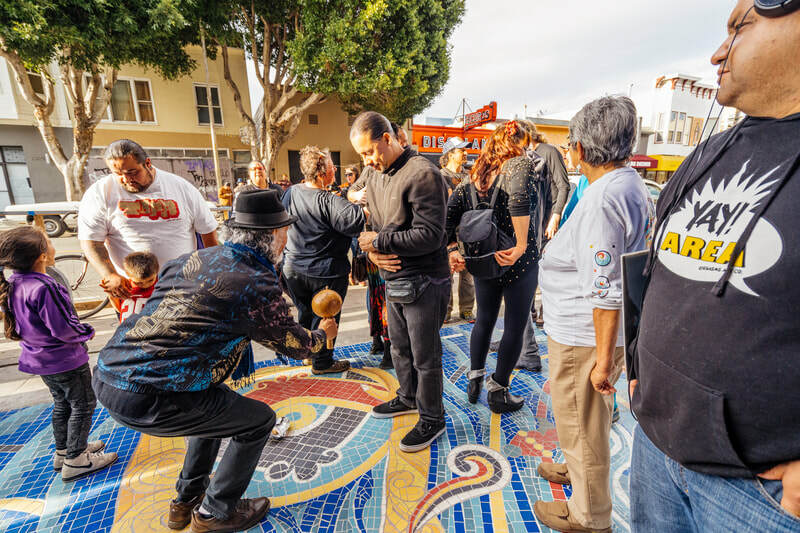 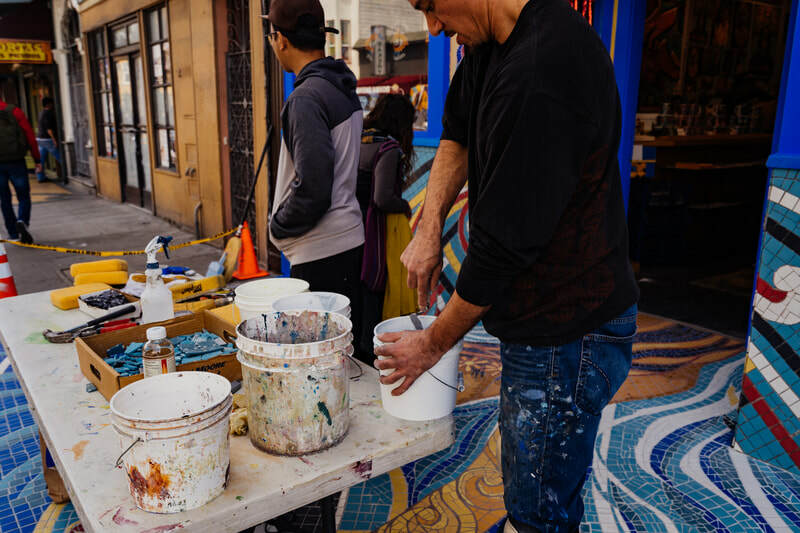 The dedication of the new mosaic took place on April 6, which was proclaimed "Luis and Susan Cervantes Day" in 2005 by then-SF Mayor Gavin Newsom, following the death of Luis Cervantes at age 81.